A power boost coupled with a complete carbon-fiber body has transformed the 1-Series M Coupe. 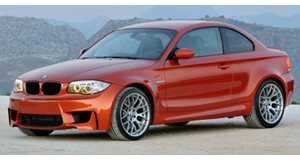 Specializing in high-end tuning for the likes of Lamborghini, Ferrari, Porsche, Audi and BMW, Alpha-N Performance decided upon the BMW 1-Series M Coupe for their latest project, giving it a thorough transformation. Reducing the car&apos;s weight was their first priority, something they succeeded in doing by giving it a new set of carbon-fiber components including a hood with air vents, front spoiler corners, roof, trunk lid with integrated spoiler lip and rear diffuser. They then looked to improve driving dynamics, and managed to squeeze out an additional 70hp by optimizing the ECU, fitting a new air flow system and developing a special exhaust system. The 3.0-liter twin-turbo straight-six now manages 410hp as a result of the modifications. To cope with the extra power, a high-performance brake system was added made up of 380mm front discs, 6 piston calipers, sport brake pads and steel flex lines. The package is completed by a set of 19-inch Superforgiata OZ alloys wrapped in Michelin tires.